Imagine that you’re already using a plagiarism detection software, which works well and spots plagiarism fast. But after a while you notice a few cool features you didn’t pay attention to before. How come? 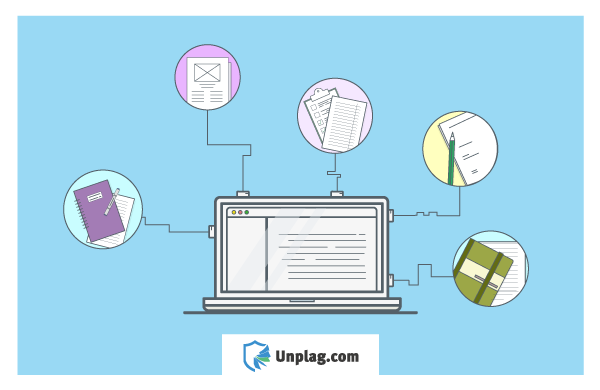 To not miss a single handy feature, we’ll tell you how to use plagiarism software by Unicheck with a focus on the functionality which can help save much time on writing tasks. After you run a check and receive a plagiarism report, you can see where each highlighted part of the text was taken from. For this, you just click on any spotted text area and see the exact source it originates from on the right. By the way, the system shows percentage for each duplication found in the scanned text next to the original source link. To see what exactly was duplicated on the web page of the original source, make use of the Internet tab in your account. Here, you’ll see the list of similarity sources with a chain icon next to each of them. After you click the chain icon, you’ll be redirected to the original source. On the left you’ll find the “Show plagiarized sections on page” link and voila! Now you know what else should be included into the reference list. Next to the checked text, you can find three tabs: “Internet”, “History”, and “Exclude”. The “History” tab shows when you performed checks for the last time and what rate of originality and similarities a previously checked version of the text had. Sometimes it happens so that you need to make a few edits in your old papers again, and if they’re uploaded to your “Library”, you can look through the history of checks and make all necessary changes. The “Exclude” tab in the Unicheck account shows the percentage of references and citations found in the text. They are highlighted as well and it’s extremely easy for the user to double check whether all the sources were cited correctly. To receive more precise scan results, just use the “Off” switcher below. If the rate of citations and references in your paper is too high, then you will obviously need to rewrite the text and add your own ideas. If you are no longer a first-year student, you are likely to have lots of essays and term papers written by now. Then, why not create the database of all your already submitted works right in the Unicheck account? What for? To never duplicate your own thoughts in the future writings by scanning a number of newly uploaded documents against a few or all those stored in your account. Copying your own words or ideas without acknowledgment is not always tolerated by educators, since it looks like cheating. In fact, you re-use already graded works which is not good. Once your written assignments are ready, it’s high time for taking a break and choose up to five works to be scanned simultaneously. Isn’t it amazing? We do think so too. The Unicheck team keeps on working hard to launch new features to improve editing and writing skills. So, don’t miss our updates!